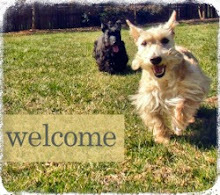 It is a well-known fact that when Scottie Dad is away, the puppies will play! And I, for one, can't say that's a bad thing. I've watched Heather and Mr. K have so much fun this week living without rules and I think they're all the happier for it. Besides, don't they always say it's better to act now and ask forgiveness later? Well, with Scottie Dad just two days away from returning home, Mr. K certainly had some things to get off his chest. 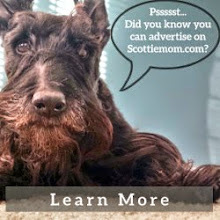 Something tells me there are a few more naughty Scotties out there who have a few things to confess too...so, let's hear 'em! It has been approximately 2o minutes since I last broke one of your rules. Specifically, the one about hanging out in the hoomans' bedroom. And you bet I feel bad about it but I've gotta admit: I loved every minute of it! (I think Scottie Mom did, too.) But I know that's not what you want to hear so I'd like to formally apologize by offering up my chewed up tug toy to you as a symbol of my regret and a token of my appreciation because, without you going away on business, I would have never had the chance to have so much fun...I mean, the chance to take away so much from this valuable life lesson of obedience. I can assure you that never again will I play hide and seek under the bed; jump up and down on the couch without being invited; take out all my toys at once and never put them back; sleep in the hoomans' bed; wake mom up every morning at the time I desire; or drag my mom's undergarments out from the laundry bin and tear them to shreds. Okay...honestly, I can't promise I'll be able to refrain from them all at once but I can try extra hard this time. Scottie Mom says there are no more exceptions to that last one, though. Said something about thinking that I got over that habit long ago and how it really needs to stop because it's just gross. Who knew? Anyway, I'm very sorry and I hope you will still be my play buddy upon your return. A good game of tug sounds like the perfect way for me to make this up to you. Not enough? Okay, I'll lie down on the floor and let you scratch my belly as long as you want. Then, we should be even. 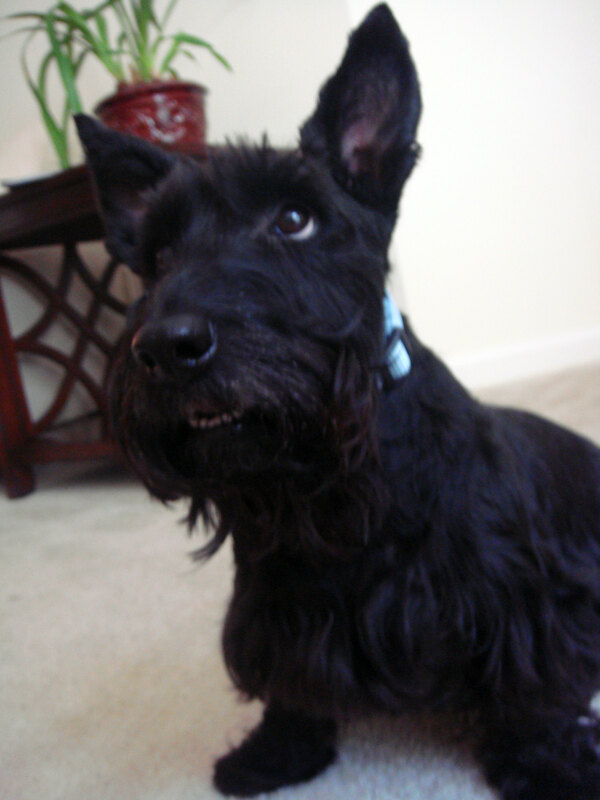 Oh, and in case I didn't say this earlier: you were certainly missed, Scottie Dad! It's just not the same - you know, only having one person to give you all the back scratchin's and loving that you need. So, you bet I'll greet you at the door with a big smile and some tail-wagging on Saturday. Dad's pillows? I do that all the time. Even when the bed is "made", it is still mine. I rearrange everything (landscaping) until it is just so then plop my petootie right where I want.